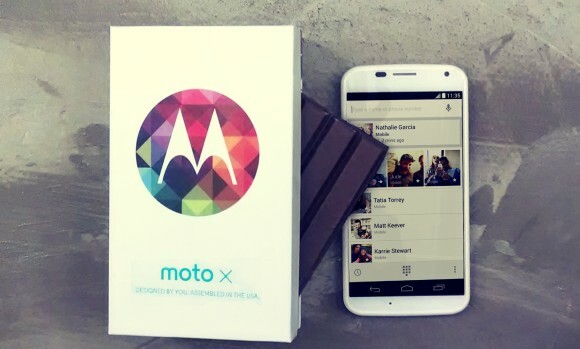 Motorola announced that it will begin seeding Android 4.4 KitKat to Moto X devices for Verizon Wireless starting today. The Big Red version of the Moto X is the first to get treated to the latest Android update. As expected, Android 4.4 KitKat brings a host of improvements to the Moto X. They include revamped dialer and gallery apps, new Hangouts app, as well as support for color emojis. The camera app of the Moto X has been revamped too. It will allow users to adjust both focus and exposure. Motorola’s Touchless Control has also been enhanced. Of course, a new Android 4.4 version will bring the new, cleaner UI to the Moto X too. It will not be modified, thus bringing a similar experience to the LG Nexus 5 in a smaller form factor. Why is this phone getting kit Kat before nexus 4 which is a true nexus phone? Supposed to be the ones getting updates first!!! !